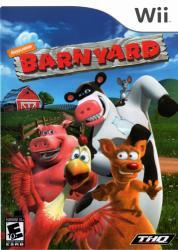 Enter the world of Nickelodeon's newest adventure and bring the Barnyard movie to life. Battle the coyote invaders, tee up for a game of golf, target the bull's-eye with your flying chicken and race downhill on your speedy bike. Players will be able to explore a fully interactive, 3-D world and prove they have what it takes to be the biggest party animal of them all.